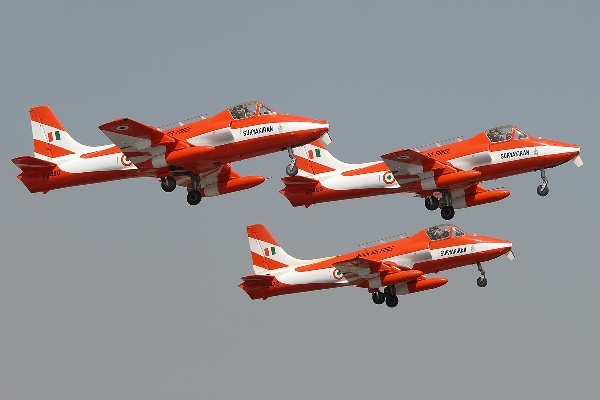 The Kiran jet trainers of IAF. 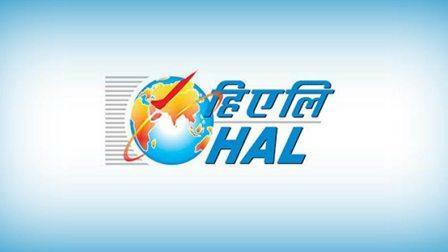 BENGALURU (PTI): As it celebrated 50 years of flying home grown 'Kiran' trainer aircraft, Hindustan Aeronautics Ltd says it will continue its maintenance for next three to four years. "HAL's indigenously-built Kiran aircraft, that has been the mainstay of the Indian Air Force (IAF) for the past fifty years, would continue to be maintained for the next three to four years," HAL Bangalore Complex Managing Director K Naresh Babu said. The managing director was speaking at an event organised to commemorate the golden jubilee celebrations of Kiran flying at Aero India 2015 here on the fourth day of the air show at the IAF air base. Stating that Kiran aircraft had trained more than 10,000 pilots and clocked 12 lakh hours of flying, the company said the occasion also marks 50 years of HAL's indigenous development. 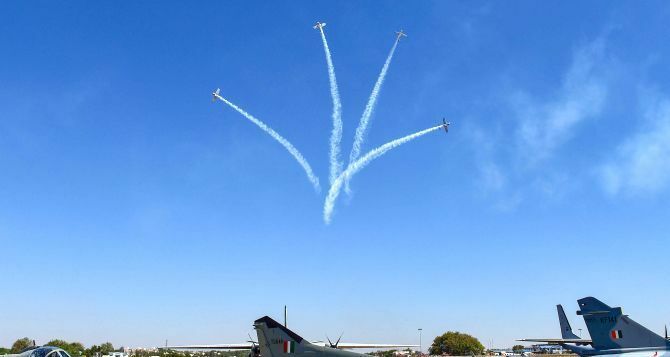 Apart from training pilots, Kiran aircraft was part of the IAF's aerobatics team 'Surya Kiran' that has participated in all major air shows across the globe, with the team exhibiting its aerobatic skills last in 2011. 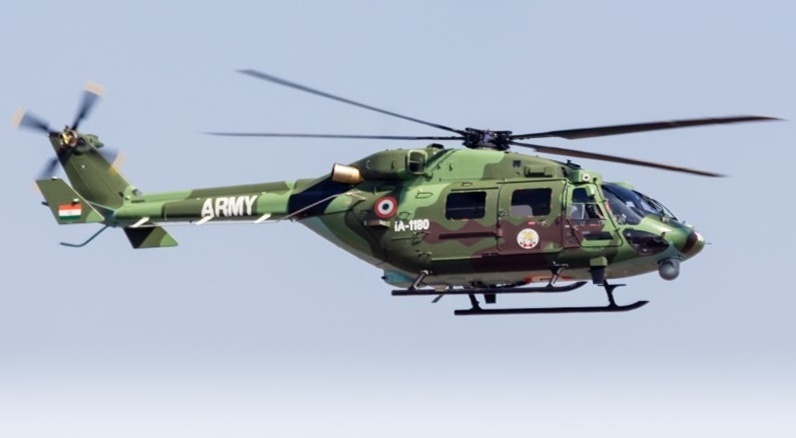 The extension comes amid a planned phase out of Kiran which will be replaced by 73 IJT-SP aircraft even as the CAG had pulled up HAL in December last year for an inordinate delay of 14 years in the development and supply of a trainer aircraft. 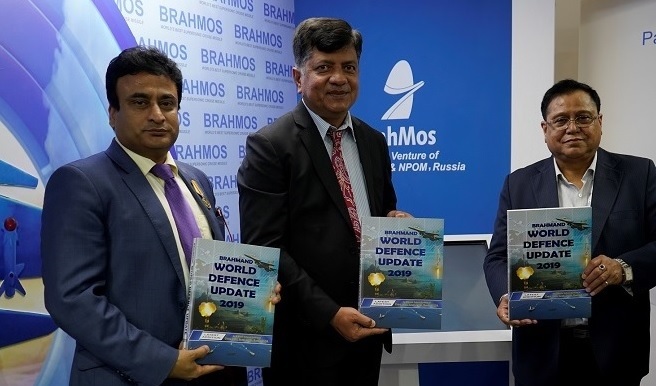 NITI Aayog member and former DRDO Chief Dr. V K Saraswat on 21st February 2019 released the eighth edition of global military yearbook 'Brahmand World Defence Update 2019' at the BrahMos Aerospace pavilion during Aero India 2019.